Thuringia is often described as the land of Bach, as the Baroque composer Johann Sebastian Bach (*1685 in Eisenach — †1750 in Leipzig) spent the first 30 years of his life in Eisenach, Arnstadt, Weimar and other towns and cities of Thuringia. He came from a musical dynasty that had already shaped the Thuringia music scene for 150 years at the time of his birth. Throughout the world, he is the most famous member of the Bach family of musicians. Thuringia practically »breathes« Bach and it has a long tradition of preserving Bach’s musical heritage. Although his works initially fell into oblivion after his death, classical music since the 19th century has meanwhile become inconceivable without them. Innumerable concerts and festivals honouring Bach and his music bear witness to this. In many areas of music, Bach paved the way and contributed to the enhancement of musical forms and language. Some of his works continue to transcend the established canon of forms. 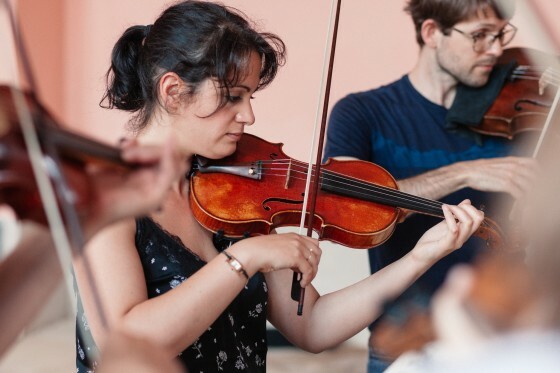 Hence, the »Bach« in the new ensemble’s name not only symbolises the programme itself but also its claim of offering a new, fresh and captivating sound. A new star has risen in the sky of ancient music in Weimar. 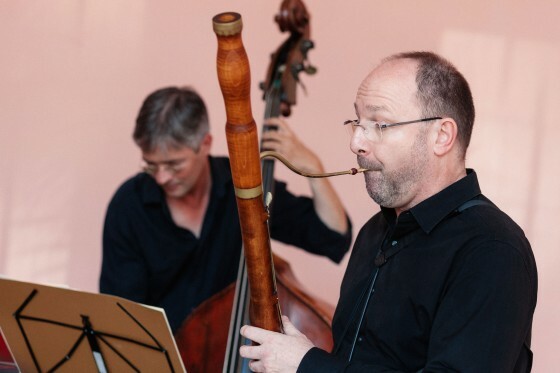 The Thüringer Bach Collegium is playing works by Johann Sebastian Bach, his ancestors (from the Altbachische Archiv), his sons and his contemporaries in a historically informed performance on antique instruments. 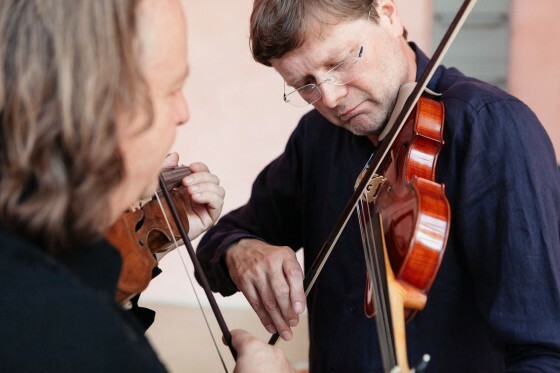 The founders are two »old hands« in the orchestra business of Thuringia’s cultural scene. 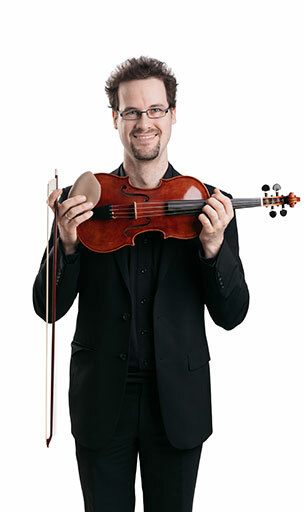 The ensemble is being conducted by the Gernot Süßmuth, Johann Sebastian Bach’s successor as concertmaster of the Staatskapelle Weimar. 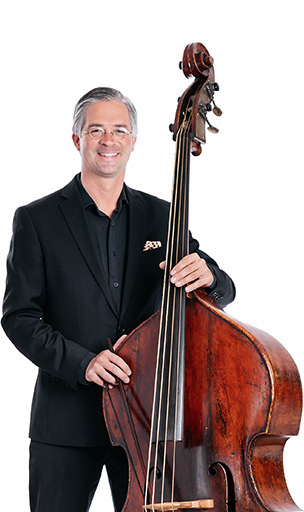 Christian Bergmann, general manager and double bass player, has been performing in the Staatskapelle Weimar for 17 years. Both musicians have been associated with the music of J. S. Bach since earliest childhood and youth. Christian Bergmann, for instance, was born in Arnstadt and baptised in the Bach Church. The founders and other members of the Thüringer Bach Collegium have many years of experience as soloists and first-chair players in large symphony and opera orchestras. And, if required, the ensemble is complemented by freelance musicians, experts in the field of ancient music and, in particular, with special instruments not played in a conventional orchestra, such as the viola da gamba, recorder, natural horn and Baroque trumpet. They all allow their expertise from working with major conductors and soloists to flow into their music. Their wealth of experience from music culture to contemporary music, combined with the latest scientific insights into historical performances, complements and enlivens the current concert programme in the field of ancient and Baroque music. Regular performances with internationally renowned conductors and soloists enhances the orchestra’s musical spectrum. 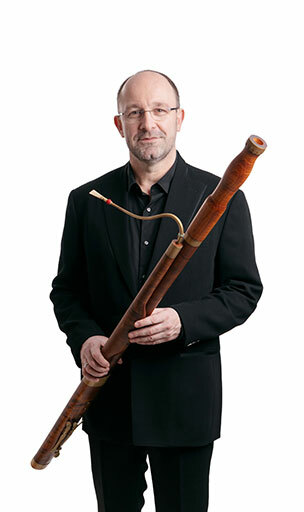 The Thüringer Bach Collegium plays on valuable historical string instruments, including violins from Giovanni Grancino or replicas of historical wind instruments. The string instruments are all around 300 years old. This means they were already being played and listened to during the lifetime of Johann Sebastian Bach. 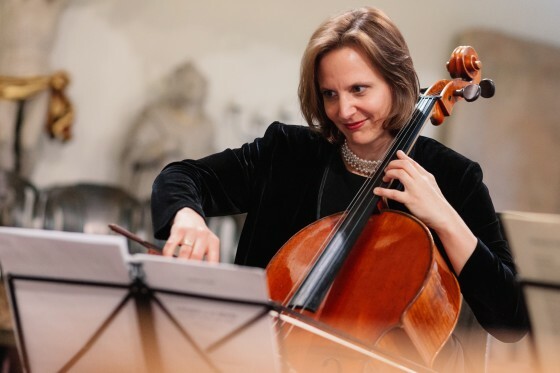 Dagmar Spengler, principal cellist with the StaatskapelleWeimar studied at the Cologne Music Conservatory with Claus Kanngiesser, graduated with honours in 1998 and then accepted Bernhard Greenhouse’s invitation to study with him in the USA. In 1998 she also won a scholarship of the »Deutscher Musikwettbewerb Bonn« with the piano-trio »Rebecca-Clarke-Trio«. In 2001 she completed her studies at the Conservatory Cologne with the Performer’s Diploma. 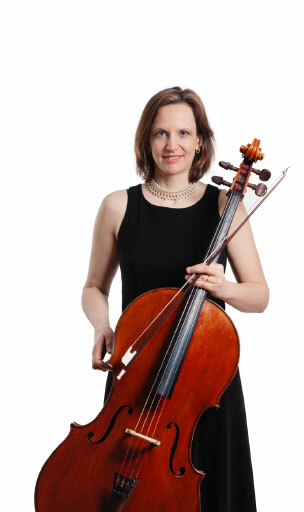 Dagmar Spengler has assisted as principal cellist in the Folkwang Chamberorchester several times. From August 2001 until August 2003 she was cellist in the Sächsische Staatskapelle Dresden (Semperoper). Dagmar Spengler has teaching experiences in the music Conservatory Franz Liszt. Weimar as well as in the »Musikgymnasium Schloß Belvedere«. In 2006 she gave a masterclass in Krakau with the »Internationale Bachakademie Stuttgart« and played with Helmuth Rilling in the »Bachcollegium Stuttgart«. Actively engaged in chamber music, she performs with the sextet »Vivace!« as well as with the pianist Oliver Drechsel. 2001 the duo released the CD »dialogo«. 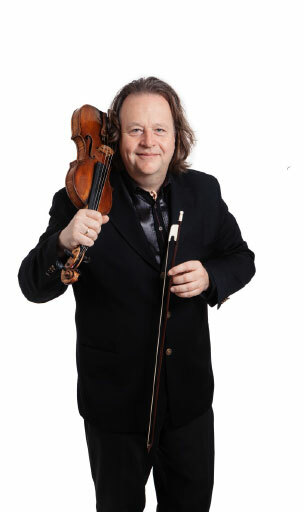 Gernot Süßmuth, who has performed as a chamber musician, violin soloist and orchestra leader at all important podiums of the world, was Concertmaster of the Berlin Staatskapelle, under Daniel Barenboim. 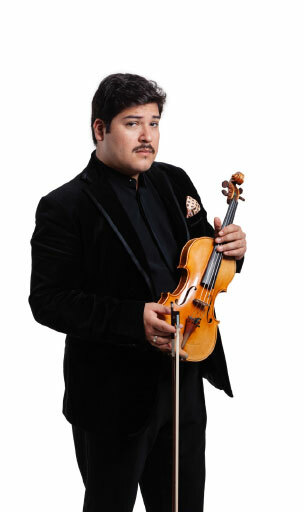 He is first Concertmaster of the Weimar Staatskapelle and professor at the Franz Liszt Conservatoire in Weimar. He is one of the most sought after chamber musicians in Germany. In his international career, spanning three decades, he has been a member of the international acclaimed Petersen String Quartet, artistic director of the European Union Chamber Orchestra, Concertmaster of the Oregon Bach Festival and Intendant of the Nordrhein-Westfalen Festival Westfalen Classics. 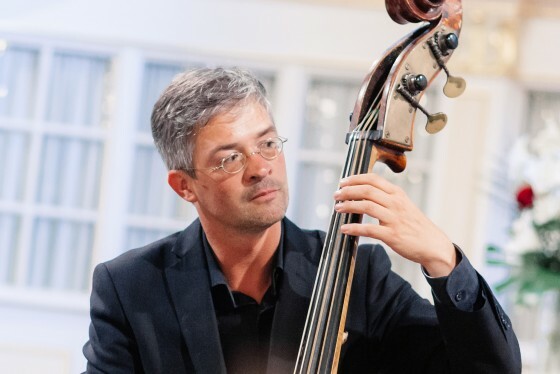 Christian Bergmann, born on 1st May 1974 in Arnstadt, studied double bass under Professor H. D. Wenkel at the Franz Liszt Academy of Music in Weimar from 1990 onwards. He passed the concert exam and completed his studies in 1998 »with distinction«. His training was rounded off with master classes given by Professors Janne Saksala, Michinori Bunya and Günter Klaus. Already during his studies, he became involved in extensive solo and chamber music activities. Concert tours take him to nearly all European countries and several times to Asia. After being contracted by the Gewandhausorchester Leipzig and the WDR Sinfonieorchester Köln, he became a member of the Staatskapelle Weimar in 2001. Several German orchestras engage him regularly, including the Deutsche Oper Berlin Orchestra, the large Rundfunk-Sinfonie Orchester in Cologne, Berlin and Leipzig, the Philharmonische Staatsorchester Hamburg and the Bamberger Symphoniker. He is a jury member at regional and national competitions of Jugend musiziert as well as a coach for register for various youth orchestras. Between 2012 and 2018 Christian Bergmann was the Chairman of the orchestra board of the Staatskapelle Weimar and Chairman of the Thüringer Orchesterkonferenz. He was also a presidential member and representative of the Deutsche Orchester Vereinigung (DOV) in the Landesmusikrat Thüringen. He was a founding member and has been managing director of the Thüringer Bach Collegium since 2018. Alexandre Castro-Balbi was born in 1991 in Besançon/​France and grew up in a musical family of Latin American origin. At the age of seven he received his first cello lessons from György Adam at the conservatory of Besançon. In 2004 he graduated with a music diploma to continue his lessons with Marc Coppey at the conservatory of Paris. Two years later, he began his studies at the National Superior Conservatory of Paris (CNSM) with Philippe Muller, which he completed with a master’s degree. Subsequently he deepened his studies with Prof. W. E. Schmidt at the University of Music Franz Liszt Weimar. 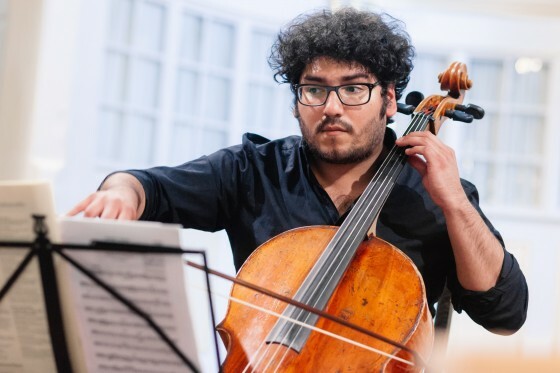 After completing a semester at the Hochschule für Musik Hanns Eisler Berlin with Claudio Bohórquez as part of the ERASMUS programme he went to Clemens Hagen at the Mozarteum in Salzburg for another semester. He also participated in numerous master classes, among others with Steven Isserlis, László Fenyő, Lluís Claret, Sadao Harada, Peter Bruns, Raphaël Pidoux, Xavier Gagnepain, etc. 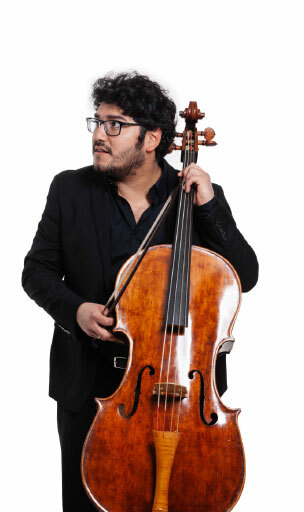 Alexandre won several international prizes such as second prize and special prize at the Carlos Prieto International Cello Competition in Morelia, Mexico. He also received the second prize at the Prince of Asturias Villa de Llanes competition in Spain. At the International Competition Franz Schubert and Modern Music in Graz, Alexandre was awarded the second prize (no first prize awarded) with his Piano trio »Suyana« and the special prize for the best interpretation of a contemporary work. Already at the age of 19 years Castro-Balbi reached the semi-final of the ARD music competition in Munich. He won scholarships from the Yamaha Music Foundation of Europe, the Académie musicale de Villecroze and the Foundation for Young Musicians in Besançon. Alexandre has been invited to a variety of international festivals such as the Internacional Festival of Cello, Lima (Peru), the Festival of Asturias (Spain), the Music in the Mountains, Colorado, Festival International de musique de Besançon »and the Festival of« Villa Musica »(Rhineland-Palatinate). As a soloist, he performed with the Munich chamber orchestra, the Jena Philharmonic, the Budapest Chamber Orchestra, the Orquesta Sinfónica Nacional de Panamá, the Berlin-Brandenburg Symphony Orchestra, the Orchestre du Conservatoire National Supérieur de Paris, the Provincial Youth Orchestra Peru and the Orchester Philharmonique de Besançon under the baton of renowned conductors such as Seiji Ozawa, Myung-Whun Chung, Péter Csaba and Zsolt Nagy in the Berlin Philharmonic, the Salle Pleyel, the Théâtre des Champs-Elysées, the Munich Philharmonic, the Victoria Hall Geneva, the Teatro Nacional Madrid, the Graz Music Association and Solitaire Salzburg. 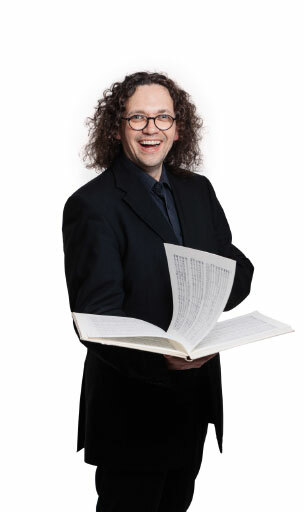 His chamber music partners are among others Lucas Debargue, Markus Groh, Natasha Prischipenko, Christophe Giovaninetti, Svetlin Roussev, Diana Ligeti, Mayu Kishima, Marc Bouchkov, Marie Chilemme, Adrien Boisseau, Regis Vincent, Lena Semenova, Guillaume Chilemme, David Castro-Balbi and Thibaud Epp. Alexandre is Principal Cellist of the German Nationaltheater and Staatskappelle Weimar since June 2015. 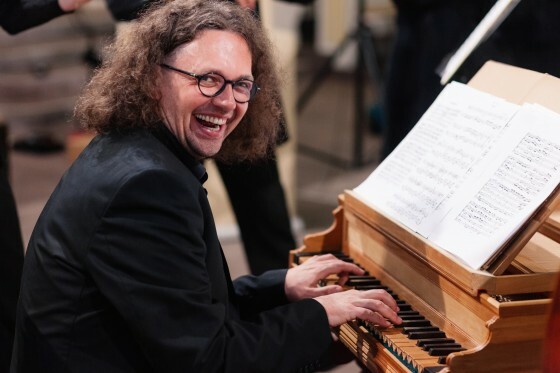 The German choral conductor, organist and church musician, Jörg Fritz Reddin, realized his big interest in music and organs already in childhood. He received in 1985 his first piano lessons. At age 15, he was sitting in Warnemünder Kirche on the organ bench, and in 1988 began training on the organ with LKMD Christiane Werbs, Erich Piasetzki, Fritz Abs and Eva Schad. After two trips to the forming professional offset printing world and the commercial accounting office, he realized that this was not to be his main life tasks. So he devoted himself at this time already intensively playing the organ as a hobby. In 1994 he participated in the »Jugend musiziert« National Competition in organ, and in 1996 he won the first prize at the International Organ Competition of the Hanseatic cities in Elburg (Netherlands). From autumn 1997 to summer 2001, Jörg Reddin studied church music at the der Hochschule für Musik und Theater in Hamburg, with KMD Jan Ernst (organ) and Wilfried Jochens (singing), among others. During his studies in Hamburg he founded the Kammerchor Cantus Hamburg and was its first director. He conducted the chamber choir in the projects of Michaelisoratorium by Carl Adoph Kuntzen and Weihnachtsoratorium by Camille Saint-Saëns. An Erasmus scholarship took him to Vienna in October 2001. There he studied organ with University Professor Michael Radulescu at the Universität für Musik und darstellende Kunst, and from 2002 to 2005 singing with University Professor Dr. Gertraud Schmid-Berka. In addition, he trained in choral conducting with University Professor Alois Glaßner and in organ with University Professor Dr. Florian Pagitsch. He also attended master-classes for organ with Michael Schönheit (Leipzig) and Professor Dr. Martin Sander (Heidelberg) and courses for singing with Tünde Szabóki (Budapest) and Burgtheater actress Maresa Hörbiger (Vienna). During his studies, he sang in January 2005 as a choir soloist in a concert performance of Mozart’s opera Idomeneo under the baton of Daniel Harding at the International Mozart Week in Salzburg in 2005. 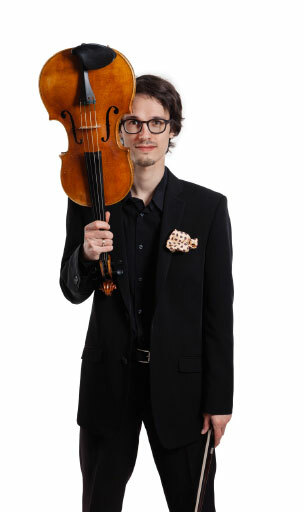 Jonathan Kliegel was born in the cultural city Weimar, where he started playing the violin when he was a child. Later he visited the Musikgymnasium Schloss Belvedere and changed to the deeper, a little more melancholic viola shortly before his school exam. The professors Ditte Leser and Erich Krüger had a big influence on his playing while the seven years of studies, absolved also in his hometown Weimar. Jonathan loves to play in ensembles and different groups of chamber music, also as permanent member in the NDR Radiophilhamonie Hannover, the radio orchestra of Hanover. David Castro-Balbi was born in a family with a long musical tradition. At the age of five he received his first violin lessons in the class of Bernard Mauppin. At the age of 13 he graduated from the Besançon Conservatory (DEM). In 2007, he was accepted into Larissa Koloss class at the Paris Conservatory. He won his Prix Supérieur unanimously in June 2009. In the same year, he was admitted to the National Conservatory CNSMDP in the class of Svetlin Roussev. He is a founding member of the trio »Suyana«, which recorded the Quatuor Ysave chamber music at the Paris Conservatory. David is the winner of the Académie Internationale des cimes de Val d’Isère (under the direction of Prof. Larissa Koloss). At the age of 15, he was selected to play with l’Académie Internationale de Musique in Victory Hall, Geneva, as well as in the Théâtre du Champs Elysées in Paris, conducted by world-renowned conductors Seiji Ozawa in June and July 2009. David won the first prize of the »Young Artist Competition« in Colorado (USA) and the first prize of the »First International Violin Competition« Mirecourt, where he presented the Mendelssohn Concerto in E major with the Lorraine National Orchestra under the direction of Jacques Mercier. He also won prizes at the international »Jeunesses musicales de Belgrade« competition as well as a public prize, where he performed the first Shostakovich concerto with the RTS Simphony Orchestra. In 2012, he played the Saint-Saëns Concerto op. 20 and Havanaise with the Bordeaux String Ensemble conducted by Jean-Jacques Kantorow. As a chamber music artist, he won the second prize and special prize for the best interpretation of contemporary music at the International »Franz Schubert and Modern Music« competition in Graz, Austria. With his trio »Suyana« he won the first prize at the international competition Bacewic in Lodz, Poland. 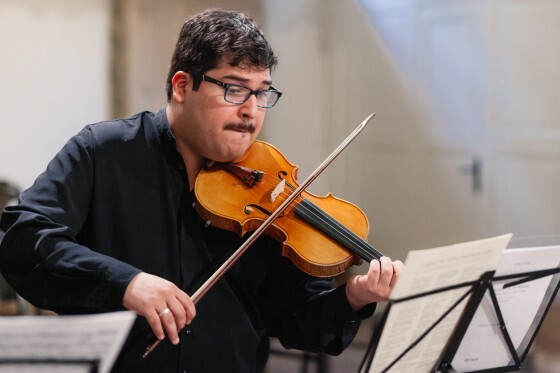 In October 2013 David Castro-Balbi was awarded the first prize and four special prizes at the »Louis Spohr Violin Competition« in Weimar. David successfully graduated from his Master’s degree at the University of Music Franz Liszt Weimar under the direction of Prof. Dr. Friedemann Eichhorn in February 2017, where he currently completes his studies with a concert diploma (»Konzertexamen«). In December 2017, David won the audition for principal 2nd violinist at the Gewandhausorchester Leipzig. He plays a violin by Jacques Fustier, custom made for him and offered by CIC Nord. He also plays a Giovanni Battista Guadagnini violin. The instrument, that Louis Spohr used to play, was donated by the University of Music Franz Liszt Weimar. Irina Zwiener already wanted to play the violin when she was four years old – just like her father. She was given one and received her first lessons from her father. A few years later, she visited the conservatorium in Nantes. In 2002, she won the Prix de Violon and the Prix de musique de chambre there. Her quest to develop her skills further led her to Germany where she continued her studies at the Hochschule für Musik und Theater Leipzig (Leipzig Academy of Music and Theatre), taking classes with Mariana Sirbu. In 2006, she returned to her family roots and spent a semester at the National University of Music Bucharest, where she was inspired by the violinist Stefan Gheorghiu. In 2008, she completed her final diploma in Leipzig and was granted a scholarship by the Akademie des Gewandhausorchesters, where she received additional training from musicians such as Sebastian Breuninger, Andreas Seidel and Henrik Hochschild, rounding off her professional training. In 2014, she started studying the baroque violin at the Franz Liszt Academy of Music in Weimar with Nadja Zwiener. 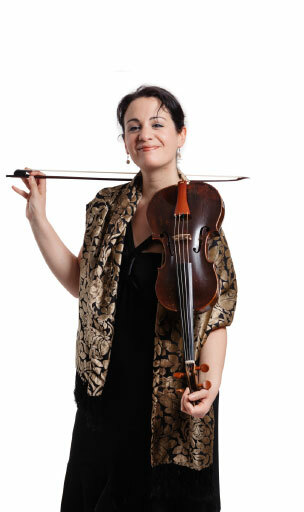 Irina Zwiener finds her new musical home at the Staatskapelle Weimar in 2015, where she plays the second violin. Raphael Hevicke (*1987) had his first violin lessons at the age of four. He has always played different styles of music. He also played guitar and drums in several bands and was a member of many youth orchestras. He was also a prize winner of »Jugend Musiziert«. He has been composing classical music intensively since 2004. Besides some smaller works he has written a string quartet, a mass, a cantata as well as a symphony for string orchestra, premiered at the »Deutsches Nationaltheater Weimar« by the Thuringian Chamber Orchestra Weimar in 2016. Between 2007 and 2013 he studied violin with Olaf Adler and Prof. Matthias Wollong at the University of Music Franz Liszt Weimar. 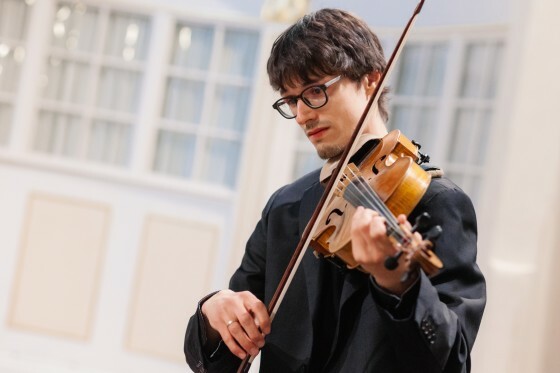 He furthered his studies with Annegret Siedel and Prof. Midori Seiler (baroque violin), Prof. Çigdem Iyicil, Prof. Christian Sikorski, Prof. Maria Egelhof und Radboud Oomens and Stephan Mai (Akademie für Alte Musik Berlin). The frequent »Duo Hevicke« concerts, founded with his sister Patricia, are especially close to his heart. Their repertoire includes rarely performed compositions for two violins. After some experience as a substitute in the Jena Philharmonic Orchestra and the Weimar Staatskapelle, including a temporary contract with the latter ensemble, he is now a member of the Weimar Staatskapelle since 2017. 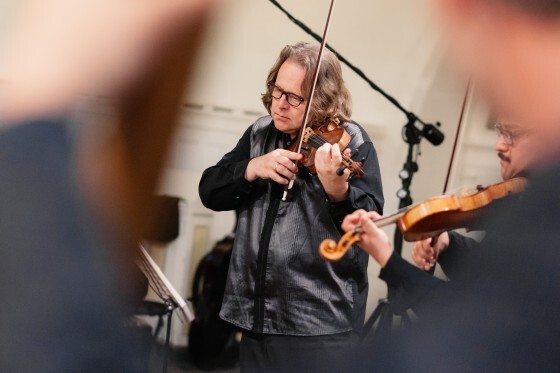 Jürgen Karwath studied violin from 1973 to 1980 at the »University of Music Franz Liszt Weimar«, two years later he became member of »Staatskapelle Weimar«, 1988 assistant concertmaster of the second violin section and 2004 member of the »Bayreuther Festspielorchester«. He has been performing baroque and classical music on contemporary instruments for several years. 1986 he founded the »Weimarer Barockensemble« and became its leader. He is member of the baroque orchestra of Leipzig as well as of the one in Dresden. Jürgen Karwath took part in many recordings on radio and CDs. He was awarded with the »Preis der deutschen Schallplattenkritik 3/​2003«. His concert tours led him amongst others to Austria, Finland, Japan and Switzerland. 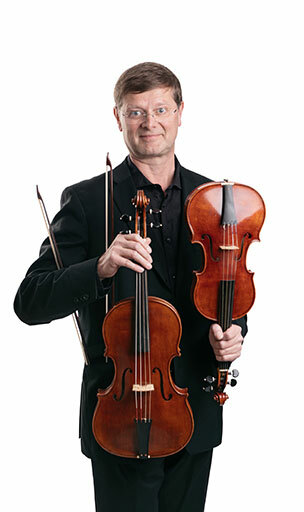 In the »Thüringer Bach Collegium« he plays two instruments the violin and the viola. He is prizewinner oft he international music competition »Prague Spring« and scholarshipholder oft he German Music Competition. Trumpeter Rupprecht Johannes Drees was born in Halle, Westphalia, and studied at the Detmold Academy of Music under Professor Max Sommerhalder, one of the most respected trumpeters and pedagogues whose class has already produced numerous internationally sought-after trumpeters. In addition, he attended various master classes with Pierre Thibaud, Bo Nilsson and Timofei Dokshitser. In 2002, Rupprecht Drees graduated from the Detmold Academy of Music with a degree in music, followed two years later by a concert exam with distinction. As a guest, he regularly plays with various German orchestras, such as the SWR-Sinfonieorchester Baden-Baden/​​Freiburg, the Radio-Sinfonieorchester Frankfurt, the Deutsches Symphonieorchester Berlin, the Gewandhausorchester Leipzig, the Bayerisches Staatsorchester, the Staatskapelle Halle and other symphony and opera orchestras. 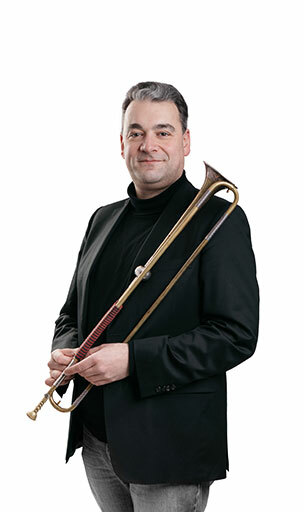 From 2002 to 2006, Rupprecht Drees played as solo trumpeter with the Göttingen Symphony Orchestra. He subsequently took on this same position in the Staatskapelle Weimar. In 2009, Rupprecht Drees was engaged as solo trumpeter for one year with the Tampere Philharmonic Orchestra in Finland and, in 2011, with the Danish National Symphony Orchestra in Copenhagen. Rupprecht Drees regularly performs on the baroque trumpet with various chamber orchestras and ensembles such as the Händelfestspielorchester Halle and many other ensembles, including the Akademie für alte Musik Berlin, Il Gardelino, Le Concert Lorrain, Collegium Vocale Gent, Collegium Marianum Prague and many more. Together with various piano and organ partners, Rupprecht Drees gives recitals in German-speaking regions. Extensive concert tours have taken him to numerous European countries as well as to Japan and South Korea. He is also a regular guest at many festivals, such as the Salzburg Festival, the Rheingau Festival, the Lucerne Music Festival, etc. In 2004, Rupprecht Drees was awarded the European Promotion Prize by the European Cultural Foundation »Pro Europa« for his extraordinary range of musical activities.